Flowers were important to me when I was going through cancer treatment. They symbolize Life: They sprout from seeds, grow, bloom, die, and then sprout anew from other seeds. 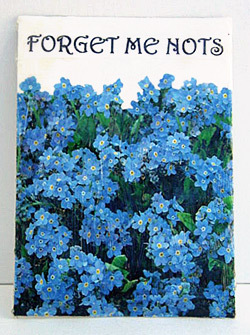 The name of these flowers is particularly meaningful to me: Forget-Me-Nots.